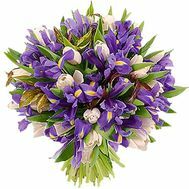 Irises are very beautiful flowers. 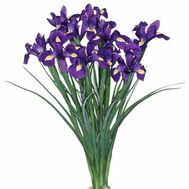 Irises are included in the section of the eternal flowers, since they appear in late winter or early spring. 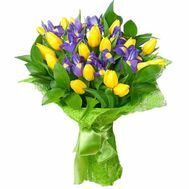 In this category you can choose a bouquet of irises for every taste. 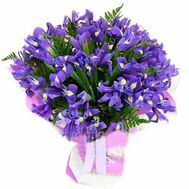 You can choose a bouquet of blue irises - tolko from iris or in combination with other colors. 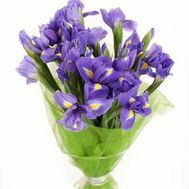 In any case, the bouquets of irises look very beautiful and original. 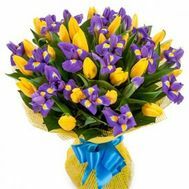 Even more beautiful bouquet of irises becomes when he stands a little in the vase and irises will begin to open their bud. 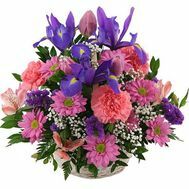 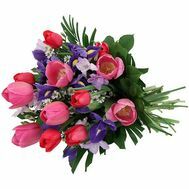 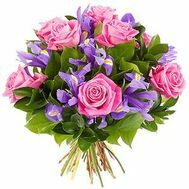 Bouquets of these flowers are very fond of women. 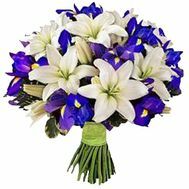 Irises look great in a bouquet in combination with other colors. 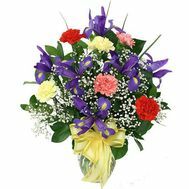 Due to its bright and saturated color, they immediately catch sight of their beauty. 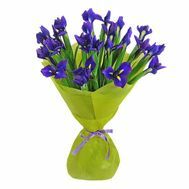 A bouquet of irises will be an excellent gift for any occasion.